Each gemstone can be described by the Mohs Scale Ranking, a simple scale developed by Austrian mineralogist, Friedrich Mohs. This scale is used internationally to classify all minerals in terms of hardness. The scale ranks from softest (#1-talc) to hardest (#10-diamond). *Hardness is the resistance to scratching. You can scratch various minerals against each other and any mineral with a higher hardness ranking will mark any mineral with a lower ranking. Testing hardness should only be done by a gemologist as the gems can be damaged. Color gemstones are graded for value using the same diamond GIA standards of the “Four C’s”. Color gemstones are evaluated for hardness using the Moh’s Scale Ranking. Color gems have varied chemical composition, and are created in the earth under conditions of heat and pressure similar to the way a diamond is created. The same gemstone can come from several different places of the world yet may vary in value because of slight variations in the Four C’s of color, cut, clarity and carat weight. 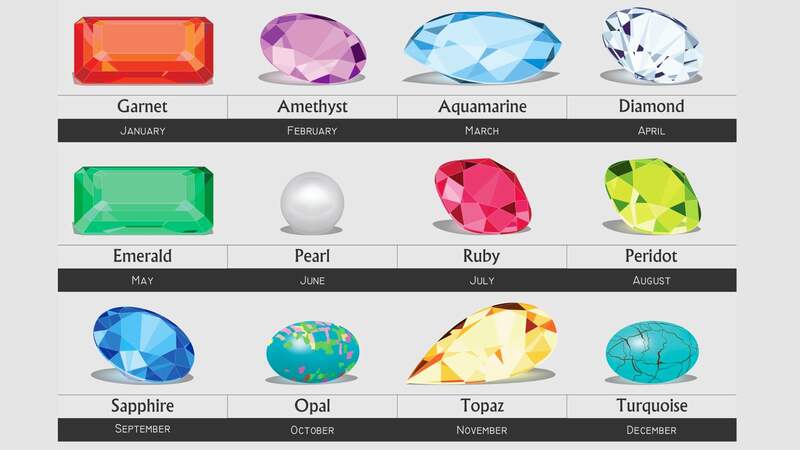 All gems possess some degree of beauty, durability and rarity. These 3 factors also influence a color gemstone’s value. A gem’s color is important in determining its beauty. Intense bright colors have more value in the jewelry market than a grayish or washed out color. Like the expression, “beauty is in the eye of the beholder,” a color preference is an individual matter. Beauty can be enhanced by the symmetry and balance of how the gem is cut. The cut needs to capture the best color and light reflection. Surface polish influences beauty, as does luster. Luster is the gem’s ability to reflect light, brightness and fire. Some gems are transparent allowing light to pass through (an amethyst), other gems can be opaque with no light that passes (a pearl, turquoise or jadeite). A gem can also be translucent with light being changed or diffused as it passes through the stone (a fire opal or opalucite). There are “phenomenal” gems that possess special optical affects with glints or glows (opals, star rubies and star sapphires, cat’s and tiger eyes, moonstone). 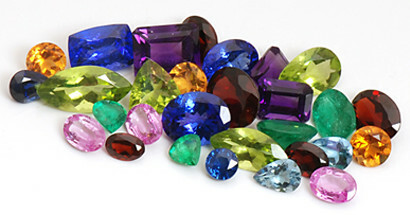 Gemstones exist that also change color in different lighting (alexandrite, certain types of garnets and labradorite). A gem’s durability is it’s ability to withstand wear, heat and chemicals. Some gems can be worn 24/7 and can be worn for active work and play; these 24/7 gems include most diamonds, sapphires, rubies, topaz, alexandrite and aquamarine. Other gems are more suited for dress occasions and more passive activity; these can include emerald, citrine, garnet, tanzanite, amethyst, quartz, iolite, pearls and peridot. There are some gems that require gentler wearing; these may include opal, moonstone, jade, agate, turquoise, carnelian, coral, cameo, labradorite and chalcedony. All gems should be protected from harsh bumps, extremes of heat/sunlight and cleaning products. Chemicals in creams, cosmetics, and hair products should also be avoided; it’s a good rule of thumb to put jewelry on after applying these. Rarity has a great influence on the value of a gem. Public demand and yearly fashion can be unpredictable. A gem must be available in large enough quantity to be marketable for sales. War, political unrest and access to a gem’s source create rarity; if any of these halt the ability to reach a gem’s source location the gem becomes not only more rare, but may disappear from the jewelry marketplace. In the long haul a gemstone must still be beautiful, durable and available in sufficient quantity in the public arena.